Parents play an important part in motivating students to select STEM careers. By informing parents about steps toward STEM career readiness, they can better steer students toward activities and opportunities that make them stronger candidates for success in the chosen STEM field. 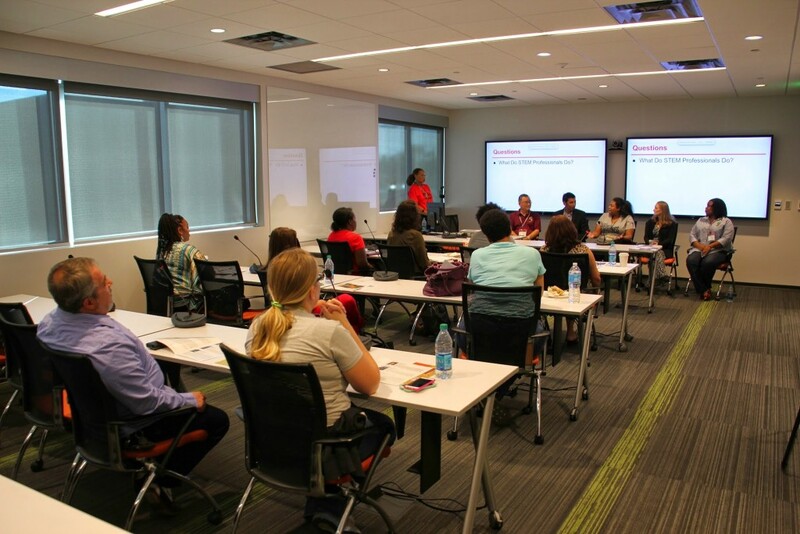 A component of the Black Women in Computing (BWiC) STEM initiative is the parent/guardian workshop designed to inform and empower parents in their efforts to support their children’s success in STEM. Speakers include STEM professionals and community leaders who give practical advice to families on how to carve out a successful STEM career beginning with activities in middle and high school. This session is an interactive dialogue with a focus on “STEM Education: Accessing Critical Resources”. Invite a friend or family member to join us. This session is part of the BWiC STEM Gaming Workshop, which will be held on Saturday, September 17, 2016, 9:00AM thru 10:30AM at the Renaissance Austin Hotel, see address below. Access to AP courses (Calculus, Physics, etc.). Often times African American and Hispanic students aren’t expected nor encouraged to take advanced math. Access to mentors through critical transition points. Encouragement of students to share and engage in the learning process for creating environments of belonging. 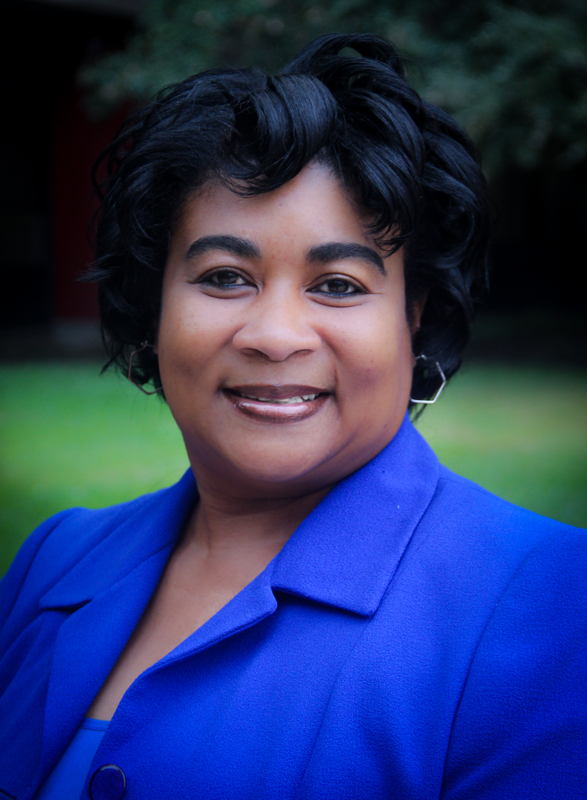 Elaine Mays Lofton, retired Chief Information Officer/Information Resource Manager for the State of Texas. Served over 30 years in State government. 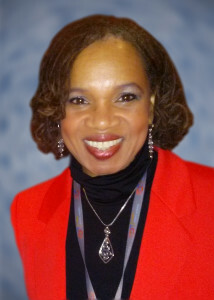 Elaine is currently employed and supports the efforts of the African American Youth Harvest Foundation and currently working to convert a legacy database to Apricot systems, as well as work in areas of program management and client policy/procedures. Elaine holds a Master’s Degree in Management/Information Technology and a bachelor’s degree in Management from Colorado Technical University. Elaine also is a licensed Certified Public Manager. 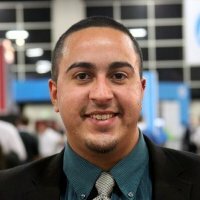 Raul Viera-Mercado is a Software Developer at Lawrence Livermore National Laboratory. He received his B.S. in Computer Science from University of Puerto Rico at Arecibo in 2013. He is currently working on the M.S. in Computer Science with a specialization in Computing Systems at Georgia Tech. Raul first started at LLNL as a student in 2012 and became a full time employee after his graduation. He was also a Co-Founder and Web Developer of an ecommerce solution startup company. 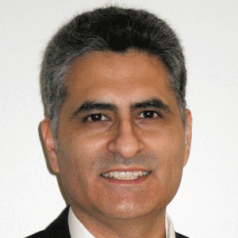 Raul enjoys learning about different technologies and has earned several IT certifications. Viera-Mercado is an advocate in helping others to succeed in their careers, especially students. Raul has been a mentor for several students during the past years and is eager to continue mentoring. Rose Robinson is Director, Anita Borg Institute (ABI) Communities and Her Systers’ Keeper, global community of technical women. She manages all affinity communities (Black Women in Computing, Latinas in Computing, LGBT in Computing and others) and special interests groups. Rose has 20+ years in software implementations in Telecommunications, Geospatial and Infrastructure. She manages ABI’s open source programs including Systers Google Summer of Code, Google Code In and social impact projects. Rose holds a B.S. and M.S in Mathematics. She works on HBCU Tech Inclusion and is helping Savannah State University CS department, as a member of their Industry Advisory Board. Executive Director, DiverseScholar, a project of Community Partners. Dr. Roca was a Project Scientist in the Biochemistry Department at the University of California, Irvine where he was formerly a UC President’s Postdoctoral Fellow. His research involves using biophysical and bioinformatic approaches to understand the molecular mechanism of recombinational DNA repair. Dr. Roca is a first-generation Peruvian-American born in Houston, Texas. He received his Ph.D. in Molecular Biology from the University of Wisconsin-Madison. Since 2010, Dr. Roca has been working full-time helping graduate students transition to postdoc training and helping grads/postdocs transition to professional positions. He accomplishes these activities by working with trainees directly as well as with institutional diversity stakeholders. Finally, Dr. Roca has been writing and editing/publishing original articles under the DiverseScholar brand. Valerie Taylor is the Senior Associate Dean of Academic Affairs in the College of Engineering and the Regents Professor and Royce E. Wisenbaker Professor in the Department of Computer Science and Engineering at Texas A&M University. 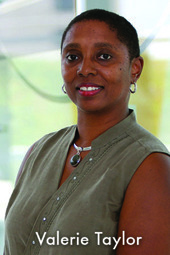 She is also the Executive Director of the Center for Minorities and People with Disabilities in IT (CMD-IT). Valerie Taylor is an IEEE Fellow and has received numerous awards for distinguished research and leadership. Valerie Taylor is also a member of ACM. She earned her B.S. in ECE and M.S. in Computer Engineering from Purdue University and a Ph.D. in EECS from the University of California, Berkeley. PhD. 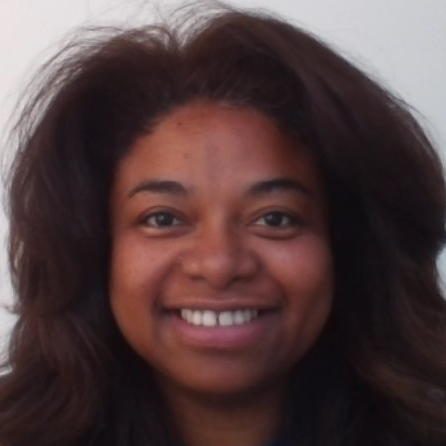 Loretta is a full-time Ph.D. graduate student as an Adobe Foundation GEM Fellow at Arizona State University, Ira A. Fulton School of Engineering in the Department of Computing, Informatics and Decision Systems Engineering. She is Strong TIES STEM Programs Founder. Loretta was selected as the 2014 GEM Fellow of the Year, an award that recognizes the significant contribution of a graduate student. Loretta is a leader and active member of her community and is deeply committed to programs aimed at increasing STEM student interest, particularly in communities that are under-served and under-represented. Born in Baton Rouge, Louisiana, Loretta earned a Bachelor of Science and Master of Science degree in Computer Science from Southern University A&M and a Masters of Business Administration degree in Technology Management from the University of Phoenix.